Making connections with businesses and organizations helps to personalize your experience and makes it easier for you to interact with things you care about. Local Organizations: allows you to view a directory of charities, non-profits and organizations in your area. See which organizations focus on the causes you care about. You can easily favourite them and visit their profile to learn more about them or message them to get involved. When you first sign up, you will be able to favourite our community partners. You will then be presented with some random organizations that you might be interested in. **If an organization that you support is not yet on Do Some Good, invite them: (refer to the image below). 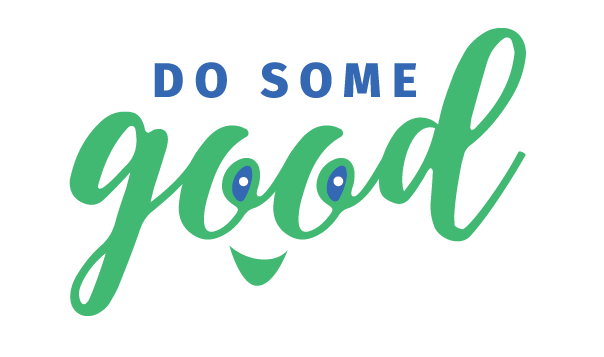 If you know of an organization that wants to learn more, send them our Do Some Good for Organizations playlist of videos. A large part of connections is creating a personalized list of your favourites, so you can more easily interact with those connections that you care deeply about. **You can post a story about organizations, businesses or certain people (co-workers and fellow volunteers), using @ mentions to recognize them for their community goodness. Some of these may require approval before being shared on their profile, depending on what level of connection you have with them. Become an Admin by registering a business or organization. Current admins can also invite others to become administrators or can elevate an employee's permissions to become an admin. Admins have access to the business or organization profile, dashboard and management functionality. Learn more about being a Business Administrator or Non-Profit/Charity Administrator in our Help Center. Become an Employee by being invited by your company. If your business is using Do Some Good, ask them to send you a link to make the connection. If they're not on Do Some Good, send them an invite! Employees will also be able to post inspiring stories to their business profile with no approval necessary. Employees get to learn more about the good their company and co-workers are doing and see relevant stories and activity from colleagues and employers. Businesses gain insight to be able to match their donations and support in alignment with their employees' interests. Check out the "Employees" section in the Help Center for more. Create this connection by adding a position on your profile yourself or by applying for a new position on the 'Get Involved' page. If your application is still pending and has not yet been approved, you will not yet be able to log hours for the position. Visit an organization's profile (using the top search bar), click "Favourite" and then you can choose "I'm a volunteer". Creating this connection not only allows you to stay up-to-date with businesses that you support, but they may also choose to make donations in alignment with their customer's interests. Visit a business profile (using the top search bar), click "Favourite" and then you can choose "I'm a customer or member".